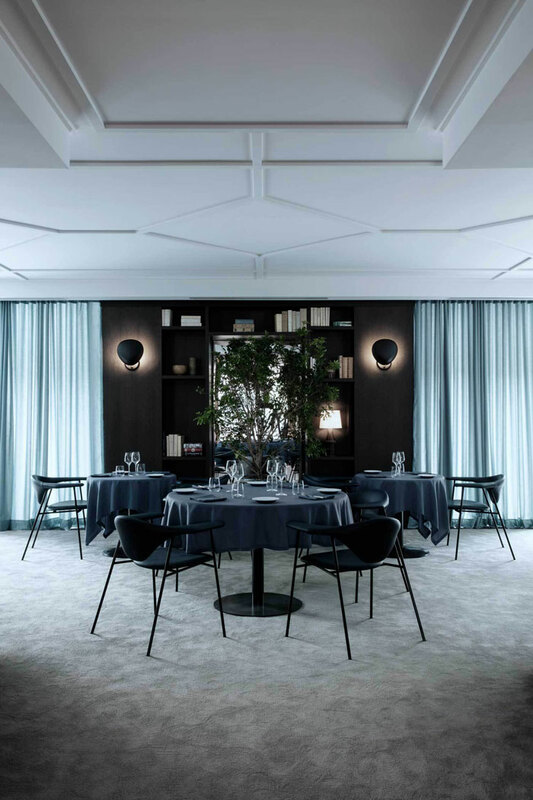 Last week we’ve featured Flora Danica, one of the recently revamped restaurants located at La Maison du Danemark in Paris. 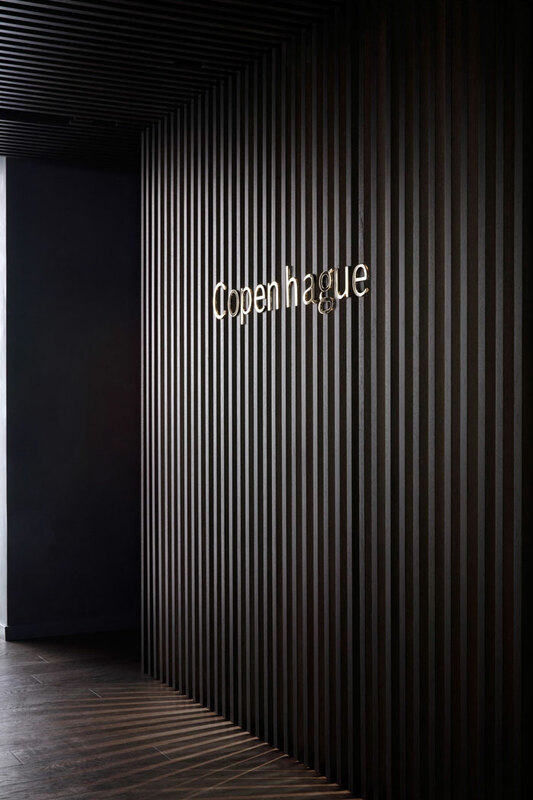 Copenhagen is the second venture to be housed by the Danish cultural institute on Avenue des Champs-Élysées, and it is also designed by GamFratesi. 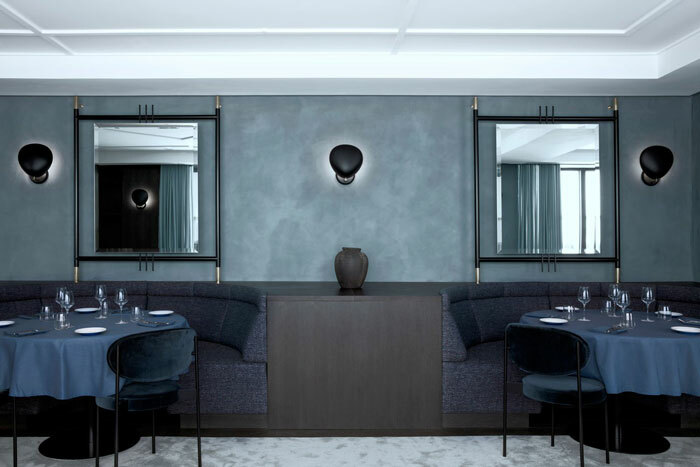 With its dark shades of blue, black and grey, the interior has an intimate atmosphere and a more formal feel. 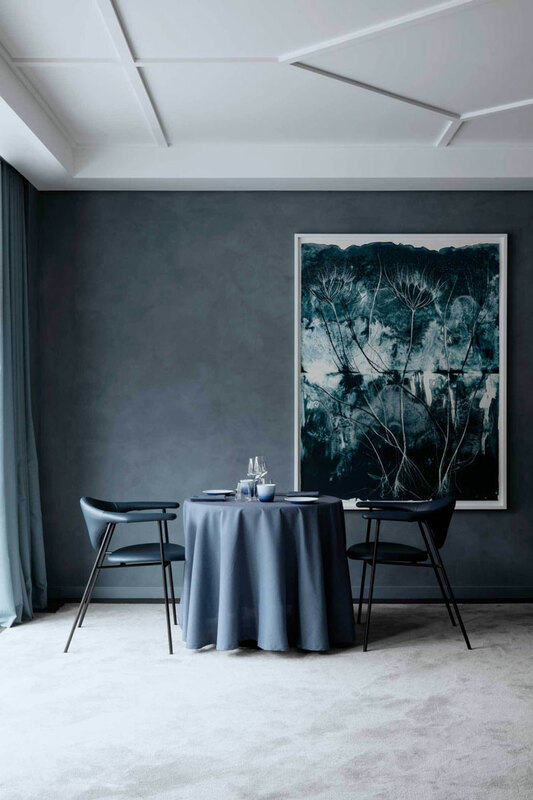 The tone on tone look is very well executed, classy and not over the top. 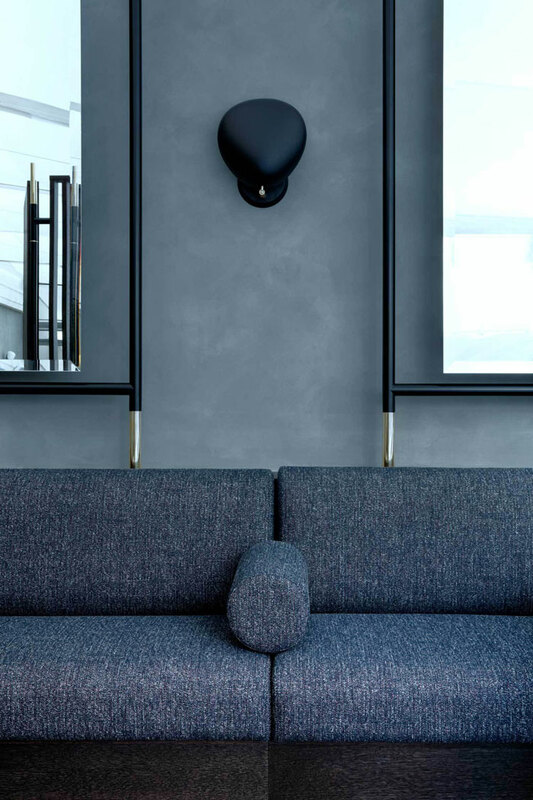 The rich textures from the leather, silk carpet and Kvadrat textiles add warmth and extra refinement. 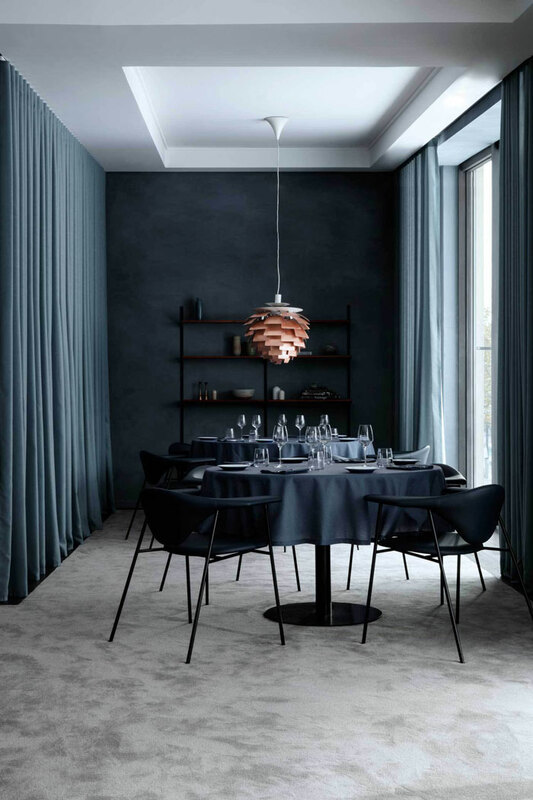 The copper PH Artichoke pendant lamp contrasts beautifully with the deep colour palette. 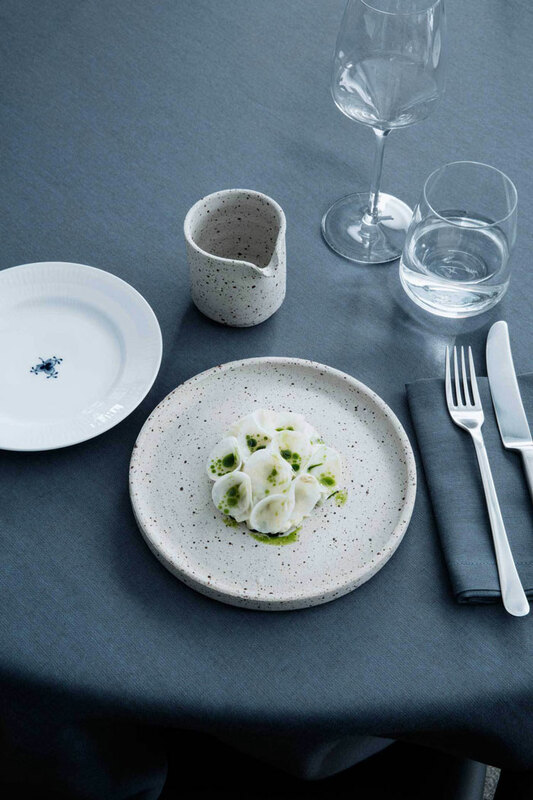 Notice the Royal Copenhagen plates; it is a special collaboration between the Danish porcelain company and GamFratesi. 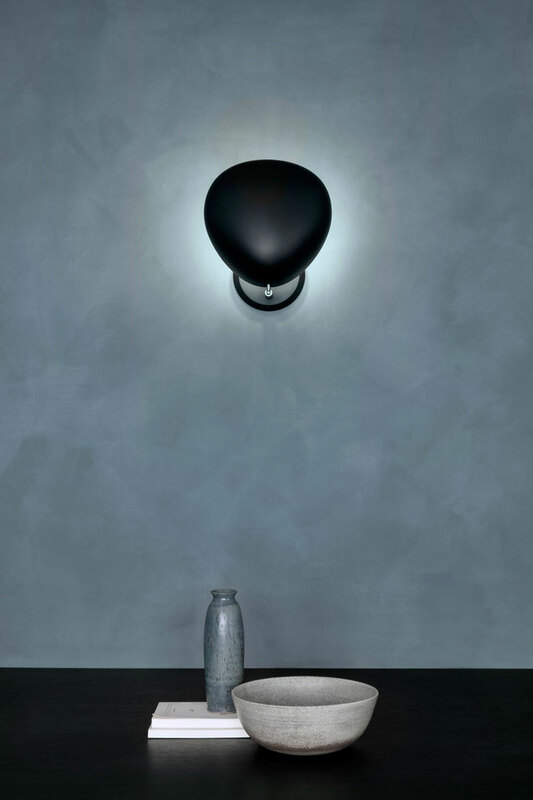 The lovely stoneware is by Frama, and the Cobra wall lamps are from Gubi’s collection.